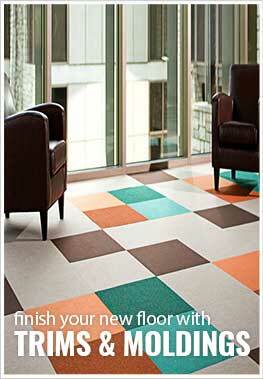 Description - The Triton Plus Carpet Tile squares are made with a diagonal or slant design. Biggest difference from the Triton and Triton Plus would be that our Plus is made for higher traffic areas utilizing a thicker and denser carpet tile. Our unique looking design offers a two-tone appearance when tiles are installed with a 1/4 turn pattern. Triton Carpet Tiles are made of 100% solution dyed polypropylene with a bitumen backing. You will find bitumen used in most commercial carpet tile installations because of its extremely durable construction. We do not sell cheap carpet tiles, instead we sell top quality carpet tiles at discount carpet tile prices. If your looking for a great long lasting carpet tile for high traffic areas than you will be very happy with our Triton Plus! Weight - 1.17 LBS per square foot. Recommended Uses - Carpet Tiles have been used in many commercial carpet tile applications because of their durability and ease of maintenance. Carpet tile squares can be replaced easily instead of having to clean the whole room, you can just pull up a tile and clean it! If a tile becomes damaged you can also pull it up and easily replace it. Because of the ease of use and durability, carpet tiles are being used more and more in residential homes. Here are some of the uses for these carpet tile squares: Entry way carpet tile, Commercial kitchen carpet tiles, weight room carpet tiles, garage carpet tiles and workout room carpet tiles. These tiles are very durable and coarse so not recommended for a bedroom or playroom where a softer carpet tile is needed. Diagonal patterned 1/2" thick 100% solution dyed Polypropylene fiber. Well made carpet squares and easy to put down. Great carpet for dirty shoes and trail carpet to walk through without getting the finer knit carpet dirty. I am using this in my guest house on the Big Horn River in Wyoming. Very high quality carpet and great warranty! Will buy again if I need more! Free shipping was a nice perk!